A Nigerian man who featured in the National Crime Agency’s top 10 most wanted alleged fraudsters campaign appeared in court today accused of a £12 million scam involving public bodies. 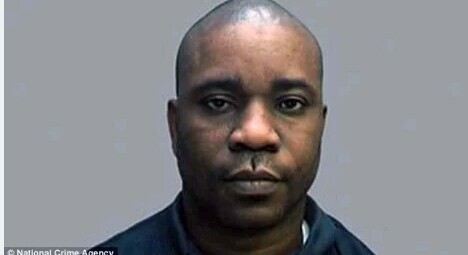 Bayo Awonorin, 44, was originally arrested in 2012 as part of an investigation into alleged money laundering involving public bodies, including Lincolnshire Partnership NHS Foundation Trust, but he later fled the country while on bail, Lincolnshire Police said. He was arrested in Maryland, US, and was successfully extradited after being charged with conspiracy to defraud and conspiracy to launder money. The Lincolnshire force said he has been a wanted man since 2013 in connection with the investigation called Operation Tarlac. He was traced by Lincolnshire officers from the Economic Crime Unit to the US and through close collaboration with both the UK and US authorities, the force added. Awonorin appeared in the dock at Lincoln Magistrates Court today. Wearing a white t-shirt, Awonorin spoke to confirm his name and to give his date of birth. The court clerk confirmed that Awonorin faces two charges of conspiring with others to defraud public institutions and to convert criminal property. Both offences are alleged to have occurred between January 1, 2011 and July 31, 2012. There was no bail application or indication of plea from Awonorin. He was remanded into custody and will next appear at Lincoln Crown Court on October 15. Awonorin, previously from Bexley, London, had been the subject of a BBC Crimewatch appeal and the National Crime Agency’s 10 most wanted alleged fraudster’s campaign in 2016.